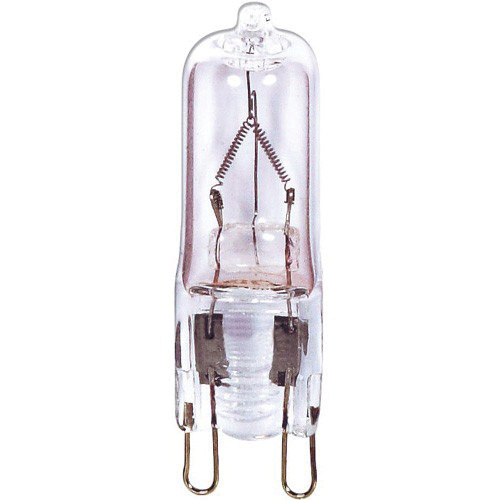 Satco 50-Watt T4 2-Pin G9 Double loop base halogen lamp offers 750-Lumens of bright crisp light output. It has voltage rating of 120-Volts. This lamp in clear color, has color rendering index of 99. It has color temperature rating of 2900K to radiate warm white light to the surrounding. This tubular shape lamp with CC-2V filament, is dimmable and offers average life of 2000 hours. It has a dimension of 0.5-Inch x 1-9/16-Inch. Lamp is RoHS compliant.